This superb brass ewer provides a very clear link between Mughal and Ottoman styles and motifs. 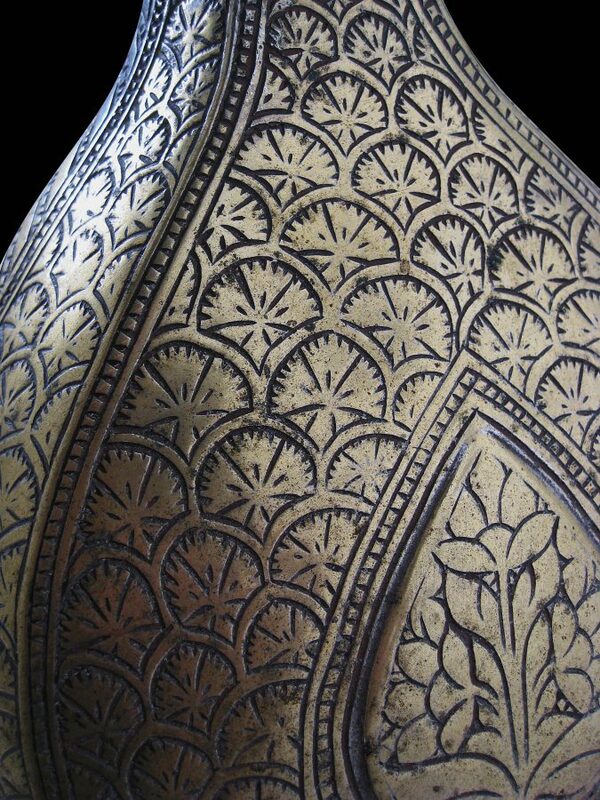 The form is overtly north Indian but the motifs employed are a clear, syncreatic blend of Ottoman and Mughal styling. 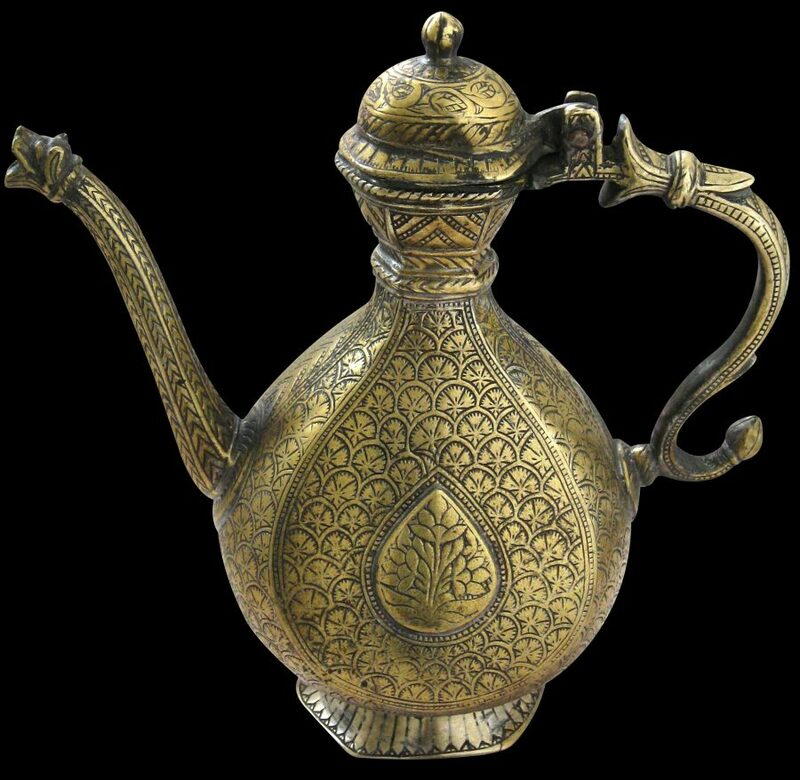 The body of the ewer is profusely engraved with stylised carnation motifs, precisely in the form encountered in Ottoman textiles and in tiles and other Ottoman porcelain work. 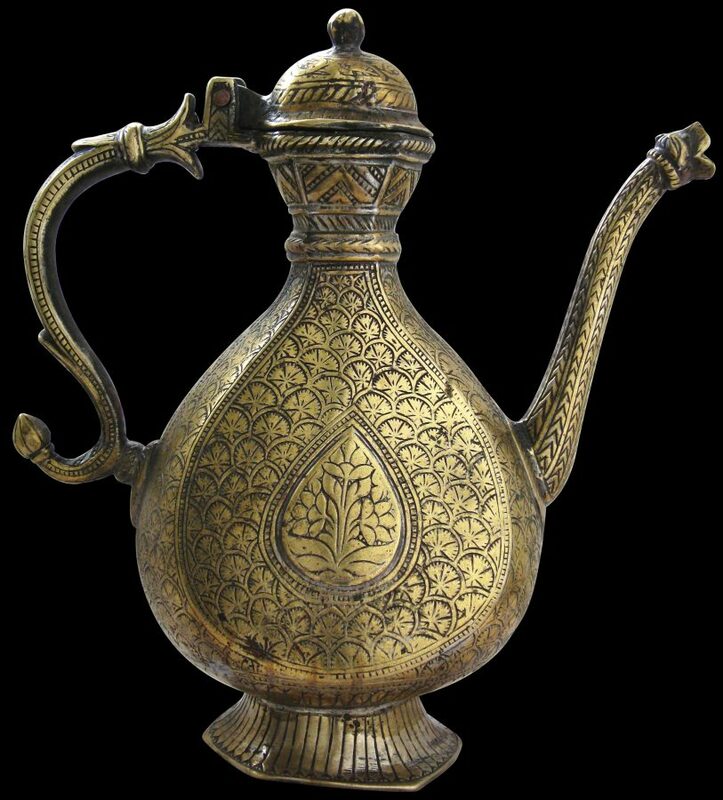 A raised tear-shaped cartouche to the middle of each side of the body of the ewer also is engraved with a flower motif. The tear shaped cartouches mirror the tear-shape of the body of the base, which with flattened sides flare out to form of globular base. The spout terminates with a tiger-form head. 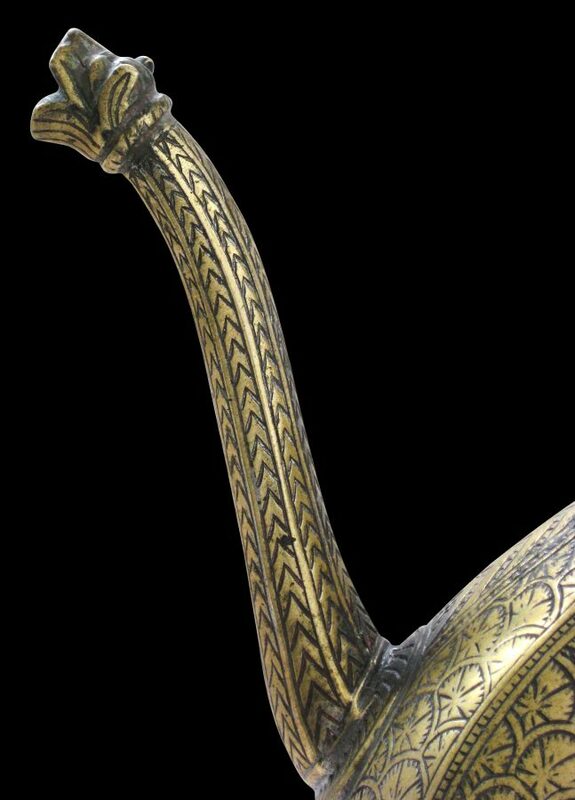 The spout itself is engraved with a cobra scale pattern, as is part of the front of the ewer. 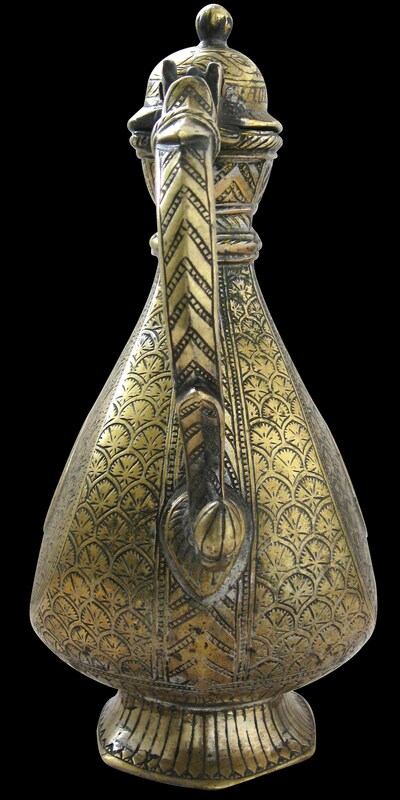 This stylistic device is often encountered in Mughal and other Islamic architecture in northern India to decorate columns and even guttering. 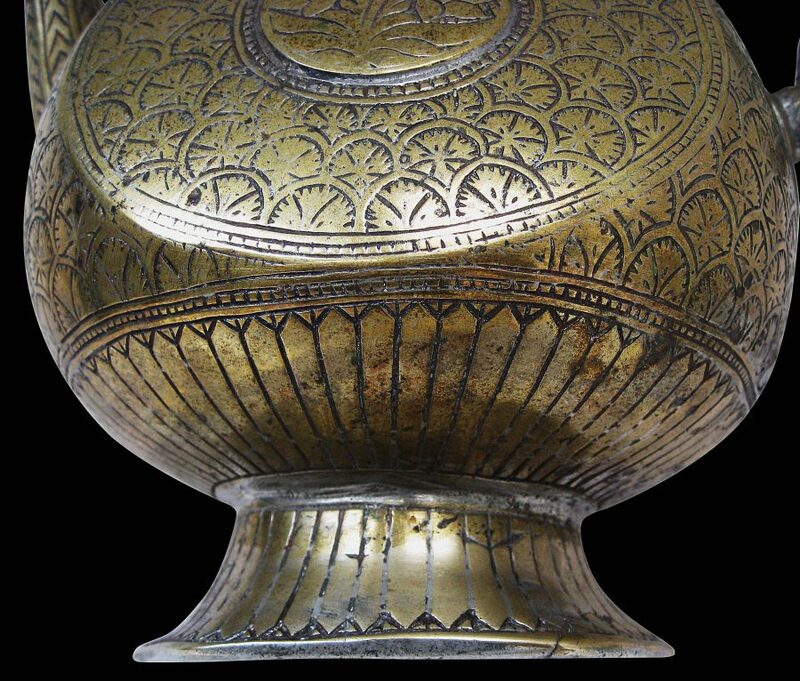 The base and splayed foot are engraved with fine lotus petals in the manner of the decoration sometimes found on southern Indian brass holy water pots (lotas). The hinged lid is engraved with a scrolling floral vine and a bud-like finial rises from a lotus flower motif. 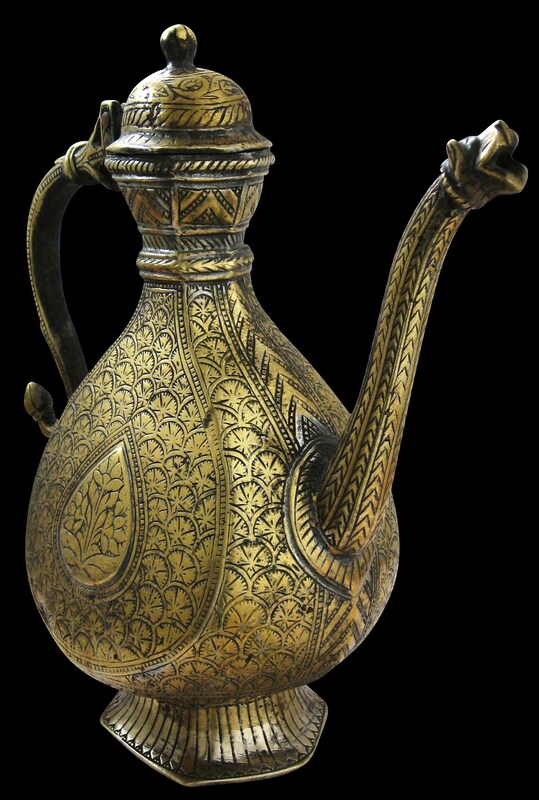 Overall, this is an impressive and important ewer.